Leading Manufacturer of in-sight 2000 mini vision sensors, cognex - is 2000 vision sensors, in-sight 8000 vision systems, in-sight 7000 vision systems, in-sight 5705 series color and monochrome vision systems and in-sight vc200 multi smart camera vision system from Chennai. In-Sight 2000-110 Vision Sensor without ring light or lens installed. Diffuse ring light cover is included. However, ring light and S-Mount/M12 lens must be ordered separately. As the world’s smallest, full line, stand alone vision system, the In-Sight 8000 series offers range of vision systems available in VGA, 1MP, 2MP and 5MP resolutions with color options available in VGA, 1MP, and 2MP resolutions. Supporting Gigabyte Ethernet for high speed communications, these vision systems offer very fast acquisition and two performance levels to meet a diverse array of machine vision demands. The In-Sight® VC200 multi smart camera vision system brings the proven reliability and flexibility of standalone In-Sight vision systems to multi camera vision applications. 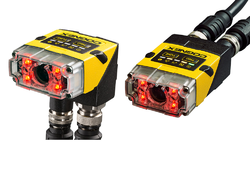 You can easily attach up to four In-Sight cameras to a controller for multi-view inspections in your manufacturing environment. For the first time, you can leverage the power of distributed vision processing with multiple smart cameras for high-performance applications. The In-Sight VC200 is the only multi-camera system that gets faster as you add cameras. The system also provides access to In-Sight’s proven vision tools, including PatMax Redline,™OCRMax™ and more. In-Sight 8000 and 7000 series cameras can be mixed and matched to build multi-camera applications. to control triggering and acquisition. device over the network using a web-browser without special hardware or installing additional software. Cognex Designer makes it faster to build complete vision applications and allows developers to more easily take full advantage of the powerful VisionPro tool library. A graphical, block diagram-based programming environment reduces development cycles and enables easier application maintenance and support. Cognex Designer makes it easy to develop, deploy, and maintain vision applications without needing scripting or programming. Powerful interfaces can be built easily by dropping components onto a page. Cognex Designer offers full access to VisionPro’s library of 2D and 3D vision tools in a convenient drag-and-drop format that speeds application set-up and reduces development time. With Designer, users can configure acquisition, select and optimize vision tools, interface with an industry-standard I/O, and make pass/fail decisions without programming. Enjoy a built-in HMI user interface and custom plugins for hardware including robots, motion stages, and machine control. Configure application - Use interactive edit controls to set vision tool properties. Add plug-ins for external hardware devices such as 3D sensors, cameras, and I/O devices. Develop HMI—Create a professional runtime operator interface to monitor and control your vision application. Connect—Configure I/O and factory floor communications, control motion equipment, and archive results. Deploy—Install on a vision controller or industrial PC with Windows. Cognex Designer is now equipped with VisionPro ViDi, the first deep learning-based software dedicated to industrial image analysis. This breakthrough technology is optimized for complex cosmetic inspection and challenging optical character recognition, outperforming the best quality inspectors. With the Cognex ViDi plug-in, Designer enables the use of ViDi software. With Cognex Designer, users get robust vision software on any industrial camera or frame grabber. 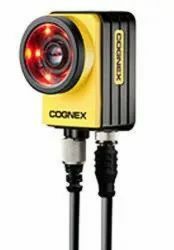 Cognex acquisition technology supports all types of image capture: analog, digital, color, monochrome, area scan, line scan, high resolution, multi-channel, and multiplexed. 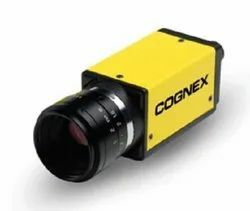 In addition, Cognex supports hundreds of industrial cameras and video formats covering the complete range of acquisition requirements typically used in machine vision. 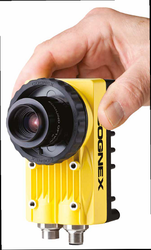 Get fast, integrated image acquisition using Cognex Industrial Cameras (CIC), GigE Vision, Camera Link, or frame grabbers. Looking for Vision System ?